Thanksgiving has come and gone and it feels like the holiday rush already rushing! So, now seems like a good time for a little pre-holiday, crazy busy time of year pep talk to keep us all going! 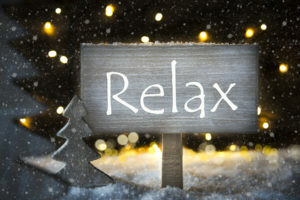 Even if you love the holidays, it can be a busy and stressful time of year. The holidays can add about a million items to your to-do list, ranging from pre-house guest home projects to the usual shopping, shipping and traveling. 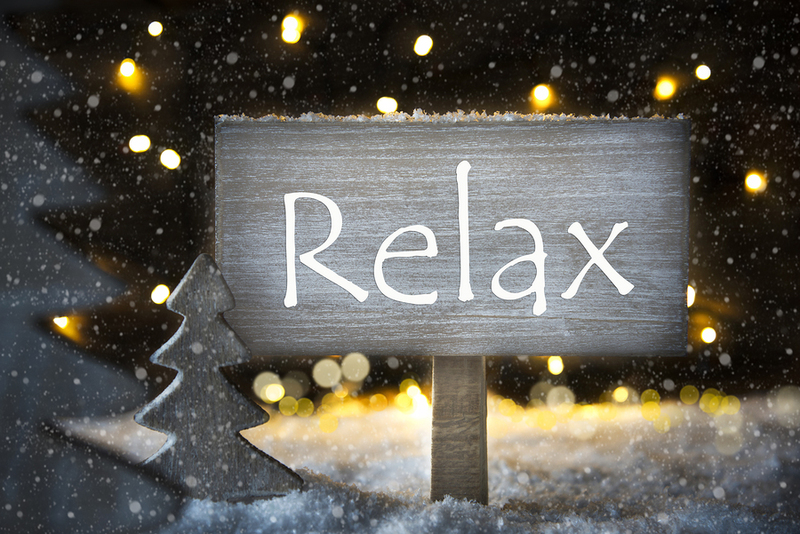 Most people I know don’t have extra time in their already busy schedules, so those holiday to-do’s can quickly add up to holiday overload. While this is not always the best time to embark on a major organizing project, staying on top of the basics at home is a great way to help yourself organized this holiday season. Keeping your house in good shape will help you feel like you do, in fact, have things somewhat under control, keep your stress levels down, and allow you to enjoy the festivities, which sometimes include impromptu visits from friends and family (gasp!). Clean up as you go – Putting things back where they belong as you go is the best way to stay on top of your space, period. Keep all of your holiday supplies (cards, wrapping paper, etc.) together in a container or two and take 30 seconds to put everything back when you call it quits for the night. Take 15 minutes a day – Just 15 minutes a day can help tackle a project or keep up with your systems. Put on some holiday music, set your kitchen timer and spend the time cleaning up from the day’s activities or making headway on a holiday task. File, don’t pile – Put things where they belong immediately and you’ll avoid kitchen counter piles and entryway chaos. As you bring in presents from a shopping trip, immediately put them where you are storing and wrapping gifts. Instead of putting your keys on the counter and dropping your jacket on the back of the nearest chair, immediately put them in their proper place. It might take an ounce of extra effort in the moment, but it will save you loads of clean-up effort later. Visual “clutter” can be distracting and stressful. Keep it to a minimum, especially this time of year. Follow the “one in, one out” rule – While the holidays may not be a great time to undertake a massive de-cluttering of your home, it is a great time to clear out obvious clutter, so you can make room for celebrations and gifts. Set up a donation bin and anytime you come across something your family doesn’t need or want, drop it in. Schedule a time on your calendar to drop the items off at a donation center before your holiday festivities are in full swing. If you know you will have a lot of new items coming in, enact a “one in, two out” rule. It doesn’t have to be perfect. It just has to be good enough! Striving for perfection leads to paralysis – that feeling that you can’t get anything done. Pick the traditions and events your family loves the most and focus on those, rather than trying to do everything. And if your holiday to-do list is making your head spin, go back to the 15 minute rule – just pick something and work on it for 15 minutes! If all else fails, stop and take a deep breath. Remember what you want out of the season and what’s important to you. If too many to-do’s are getting in your way, it’s not worth it. Let something (or a few things) go and make time to enjoy your favorite things about the season.